Every single day we notice more and more people pretending to be artists on social media and tricking you, the fans. We and your other favorite artists have not and will not EVER ask you for your personal information or for any favors. Know the signs of fake accounts, report imposters, and help us take charge so we can protect YOU, the very best fans in the world. 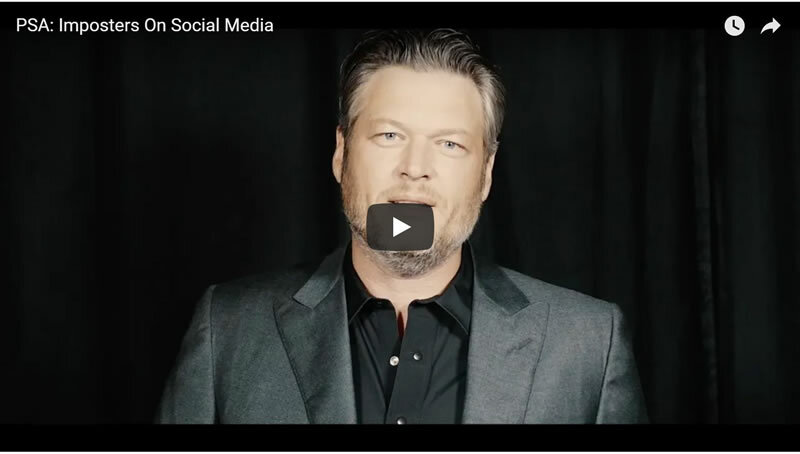 Click below to watch the video and learn more at SocialMediaSafetyNashville.com.